The easiest and the most impressive idea on how to make a wall of mirrors is to actually make a wall of mirrors. In a narrow room, the approach can offer you a very functional solution to subdividing the room into several functional areas. For example, in a narrow living room , a mirror division can set a mark between TV and dining area. A wall decorated with a huge mirror will add space and depth into the smallest room — visually, of course. This is a simply fabulous idea for a modern room. You can also try to use mirrors instead of a window door, which is an astonishing decoration pattern for an ultra modern interior. One of the major reasons to make a wall of mirrors is that they help to create optical illusions. Reflecting a part of the room, mirrors give a symmetrical look to any environment. On the other hand, you do not necessarily have to go with a huge floor to ceiling mirror to make a wall of mirrors. Minor groupings work fine, too. Moreover, a stylishly arranged collection of smaller framed mirrors gives the room a homey look. In a bedroom, sliding wardrobes with mirror doors have long become habitual in modern interiors. If you have a bespoke fitted wardrobe, you can also go with a mirror door to add space to a bedroom. A hallway is one of the best places for a mirror wall — or a mirror door if the space is limited. This is a fantastic idea that will not only make your entrance area larger visually, but will also boost its functionality. If you choose to go with a wall decorated with a range of smaller mirrors, a nice idea would be to add an element of surprise into the picture. For example, add a clock or a photo to the arrangement. 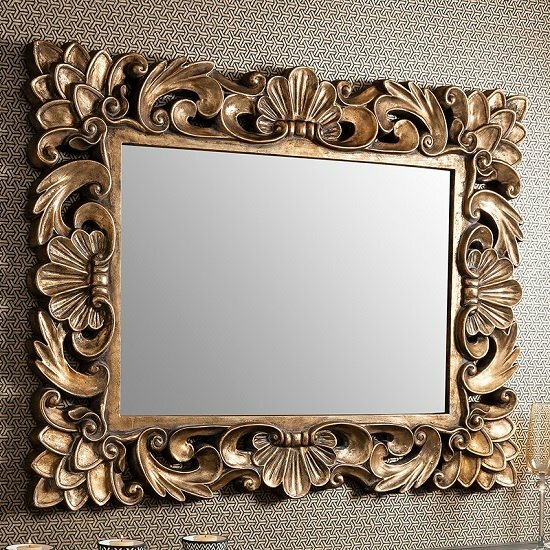 Mirrors in frames do not necessarily have to feature identical designs. Multi coloured frames will give the wall a sweet, unusual look, cheering the room up and contributing to a nice, motley feeling. To make the atmosphere even more consistent, consider adding a mirrored furniture unit into the room. Be careful not to overdo here — just one mirrored console table or a cabinet will be more than enough.